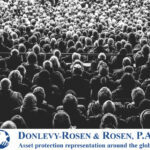 The law firm of Donlevy-Rosen & Rosen, P.A. 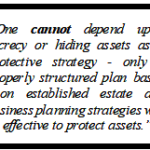 is a boutique law practice with a focus on offshore asset protection planning. For more than twenty years, the attorneys of Donlevy-Rosen & Rosen, P.A. have been leaders in the field of asset protection, authoring books, articles, and research materials for other planning professionals. Based in Coral Gables (Miami), Florida, the law firm serves clients across the United States and abroad, with a national practice utilized by individuals and businesses seeking effective asset protection planning. 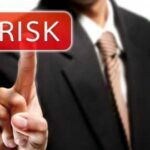 The most important factors in choosing a law firm are the qualifications and experience of its lawyers. 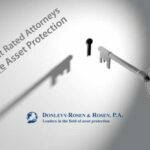 When you choose Donlevy-Rosen & Rosen, P.A., you know that are receiving quality legal expertise from attorneys whose experience in asset protection planning is unequaled. Attorney Howard Rosen is an “AV Preeminent” rated attorney, a member of the Florida Bar, and a Certified Public Accountant. 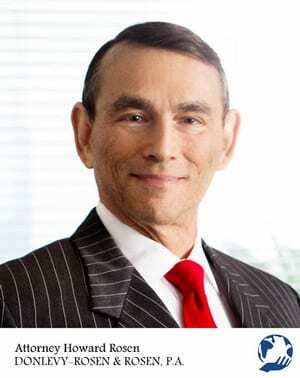 His notable publications include the BNA Tax Management Portfolio titled “Asset Protection Planning” (1994, 2002), of which he is a founding author. Due to Howard’s extensive experience in offshore asset protection planning and related tax issues, he is regarded as an authority on the subjects among his peers. For Howard’s complete biography, click here. 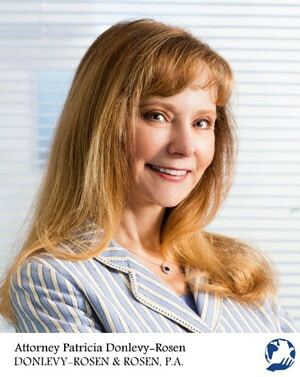 Attorney Patricia Donlevy-Rosen is also an “AV Preeminent” rated attorney, and is a member of the Florida and New York Bars. Her notable publications include the RIA Tax Advisors Planning Series titled “Asset Protection Planning.” Due to Patricia’s extensive experience in offshore asset protection planning and the protection of immovable assets, she is regarded as an authority on the subjects among her peers. For Patricia’s complete biography, click here.